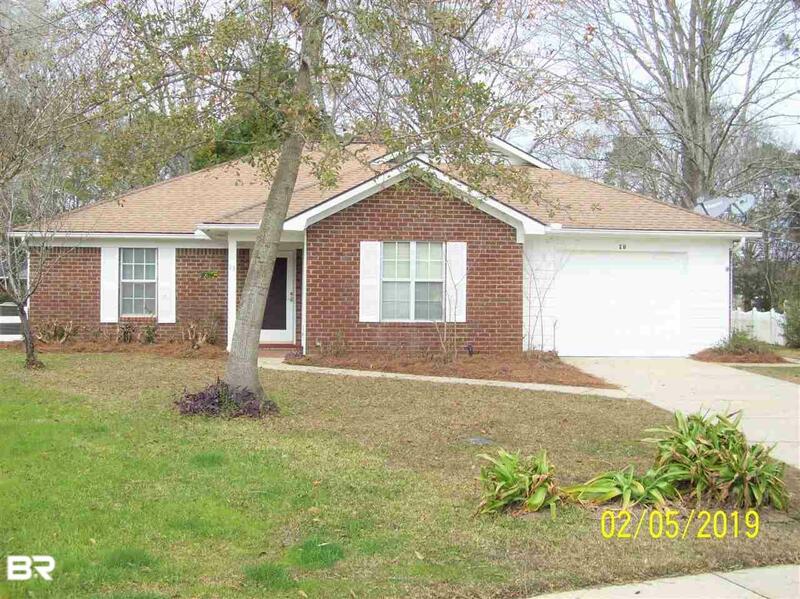 Great single story brick home with single garage on cul de sac in desirable East Gate. Two bedrooms and two baths, LR, DR, eat-in kitchen and sun-room with brand new ceramic tile floors. Total electric home. Laminate flooring in kitchen/ breakfast. Parquet flooring in master bedroom. Large laundry with utility sink. Directions: Hwy 98 And Fairhope Avenue Go East On Fairhope Avenue To Right On Hoffren Drive. Take Left Onto McCue Circle. Home Is At The End Of The Cul-De-Sac.